On the Company tab, click Clients, and then on the Active tab of the Clients page, click Add on the toolbar. 2. 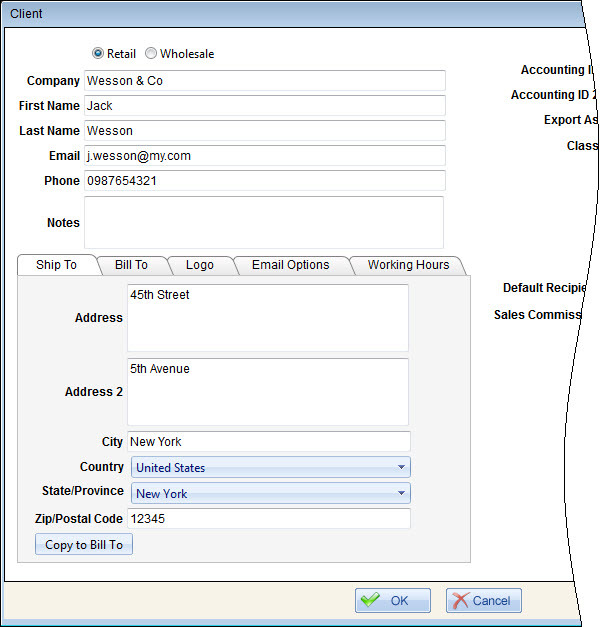 In the Client dialog box, select either the Retail option to create a retail client or the Wholesale option to create a wholesale client, enter the appropriate settings, and then click OK.